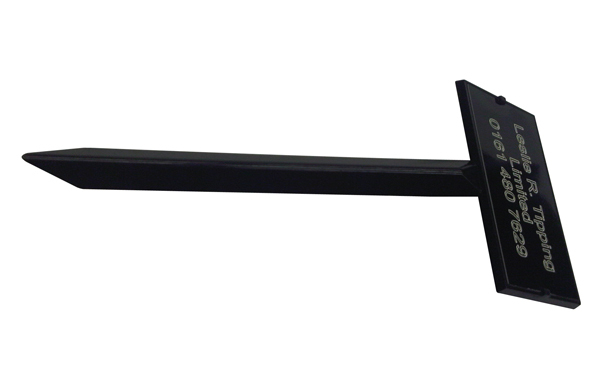 Black plastic grave marker made from durable, heavy duty, non-breakable materials. 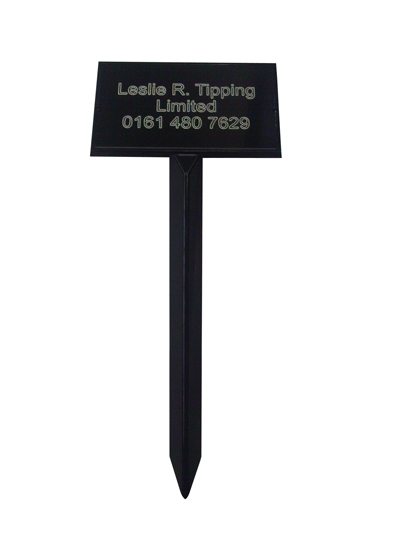 An engravable black plastic plate can be inserted into the header of the marker for identification. The markers and plates can be purchased as a complete set with 2 prices (1-49 and 50+). 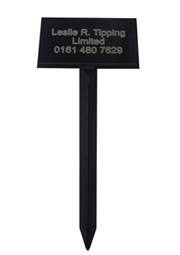 Markers without plates and plates without markers are also available to purchase on their own. 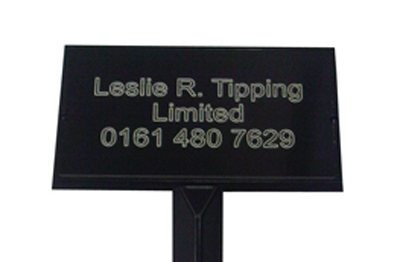 We can also provide a plate engraving service - if you require this, please contact us on 0161 480 7629. Quality 3 ft Wooden Grave Markers in Oak, Mahogany or Soft Wood. Supplied made up and complete. 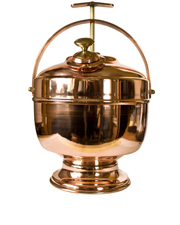 Also available in 2 ft 6" (see below). 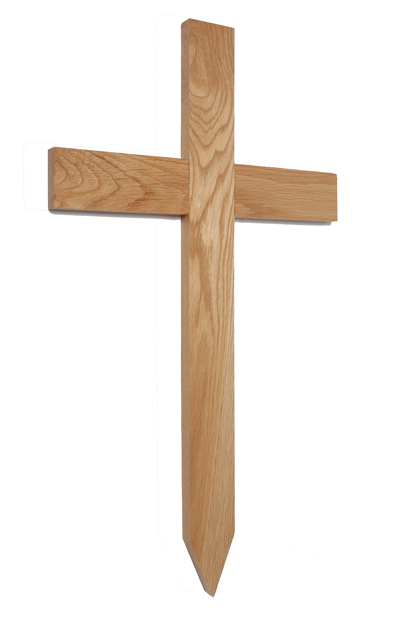 Quality 2 ft 6" Wooden Grave Markers in Oak, Mahogany or Soft Wood. Supplied made up and complete. Also available in 3 ft (see above). 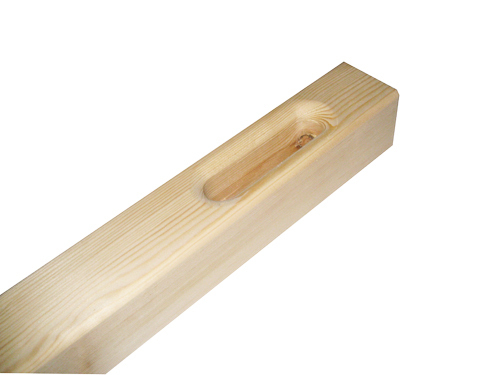 Wooden Putlogs for carriage and lowering of the coffin in conjunction with lowering cords/webbing. 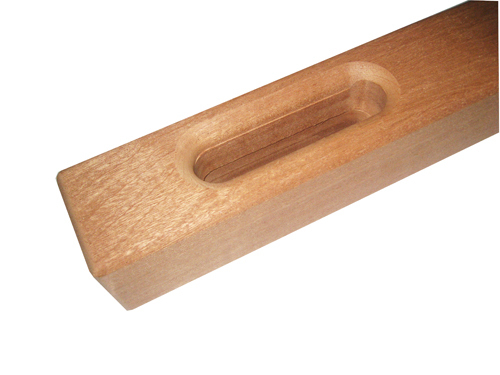 Available in Mahogany and Pine and sold individually. 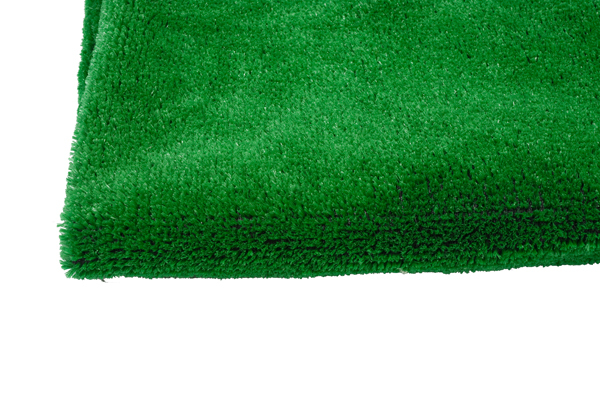 For use around the edge of the grave for asthetics, safety and to preserve the surrounding turf. Sold by the square metre and available in 2m or 4m wide lengths. 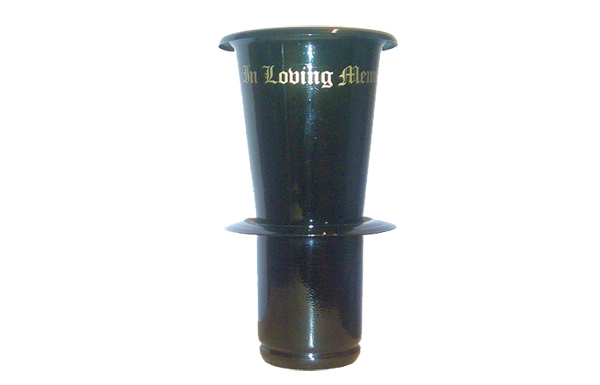 Full polypropylene high quality grass grave sets. Sets come complete with a durable backing to prolong the life of the set and improve its performance in all weather extremes. Each set comprises the following: 2 x side mats (2m x 2.5m), 2 x T mats (2m x 2.5m), plus a choice of mound covers (either 3m x 2m or 4m x 4m). Sold by the individual set and special sizes are available on request. Extremely strong webbing for use in the lowering of the coffin into the grave. Sold in 3" wide x 9 yard lengths. Trumpet flower vase for use at the grave side. 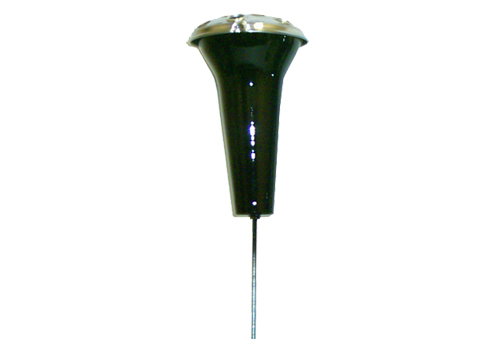 Overall depth of vase is 10" and they are available to fit any bore size - image shown is a 3.5" bore. Once you place your order we will contact you to obtain the bore size you require. 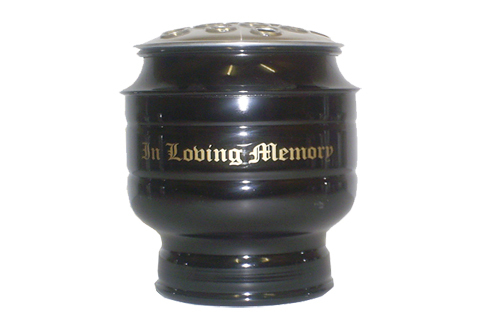 Freestanding large globular vase for use by the graveside. Available with or without "In Loving Memory" inscription. 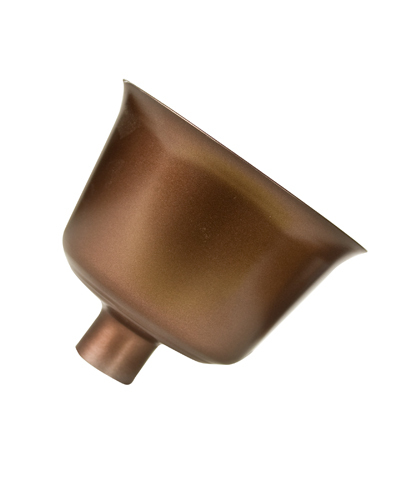 Spiked vase for standing in lawned areas. Body depth: 7.5" with a 4.5" lid. Available in Black, White, Bronze & Green. 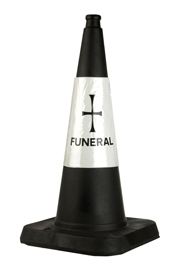 Sturdy and durable cone in black and white for use to mark out areas of no or reserved parking for a funeral. Sold individually and available in 21" or 30" cones. 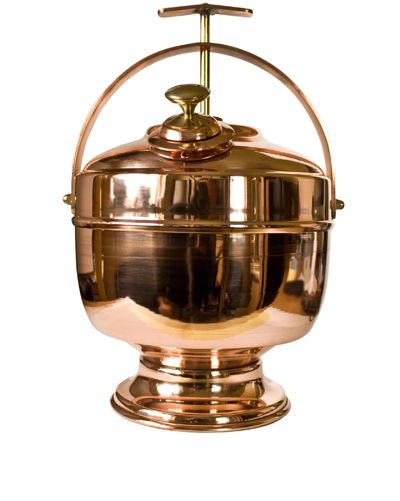 Solid copper top loading ash scatterer with a volume of 5.68 litres. Supplied with a funnel for loading of ash remains.